I may be the only person in Seattle looking forward to the fall. Mention the feeling of change in the air, and people here shiver and change the subject. You can’t blame them – it’s been a pretty lame summer in the Pacific Northwest– with just a few days above 80, and many more that were cold and grey. 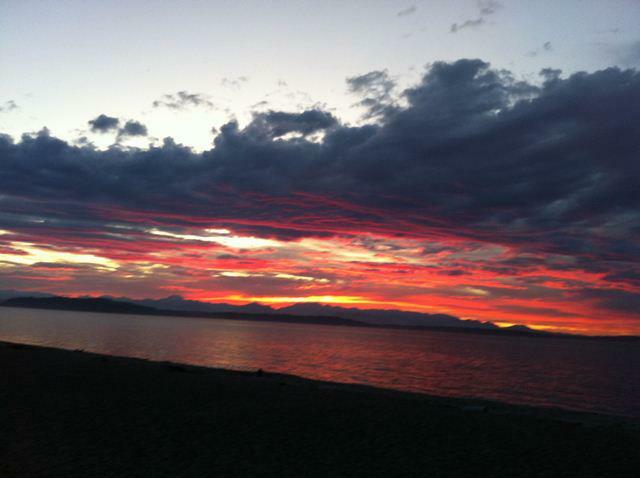 But since I got here three weeks ago, it’s been stunning –August and September are always Seattle at its best. And after spending all the late afternoons in June and July trapped in my air conditioned house in Boise, I’ve been living it up. Long afternoon dog walks, picnics on the beach, stunning sunsets. And I’m hoping we still go kayaking before summer’s official end. Our new place is starting to feel like home. Most of the boxes are gone, (stored for our next move); all the pictures that will fit have been hung. The day this place really became ours though, was the day I started cooking again. 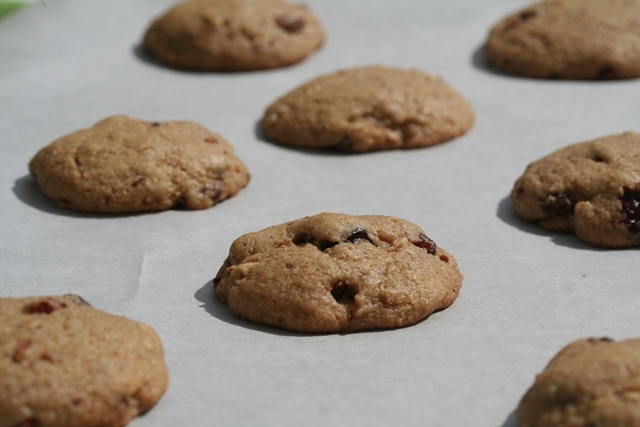 Not just toasting bagels, reheating stuff from the freezer, or opening a takeout carton. None of which is particularly sustainable living behavior – but all of which is almost impossible to avoid when you move two adults, an elderly cat, and two dogs 500 miles. It takes time to change a mass of boxes and a jumble of furniture from chaos to any kind of functioning order. Even more than creating a place for my beloved espresso machine – on a kitchen cart from Ikea – another minus on the sustainability scale I’m afraid – it was the act of cooking in this place that made it ours. Mostly I’ve been making old favorites – a few recipes of my mother’s, other things that don’t need a recipe like pizza and pasta. This past weekend we smoked our first salmon and made a batch of turkey burgers. And the next charcutepalooza challenge is lurking right around the corner. I’ve also been baking up a storm. Pies and cobblers – mostly given away to old friends and new – our CSA delivery bag has been overflowing with peaches since day one. But these cookies, so far I’ve kept for myself. I don’t want to frighten anyone with the taste of fall. every minute of the sunshine while it lasts. 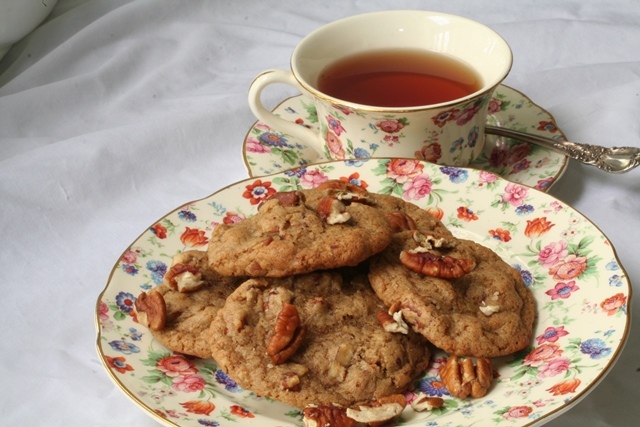 And when the rain comes back, I’ll be ready with a cup of coffee (or tea) and a plate of Maple Pecan Cookies. Let it rain. It’s good to be home. So nice to meet you on Saturday. I will definitely try your maple pecan cookies. I too am trying to savor summer but looking forward to the food that fall brings. Thanks, Jessie. I hope you like them. It was lovely to meet you and Jonathon and James. Thank you for the ride, too!